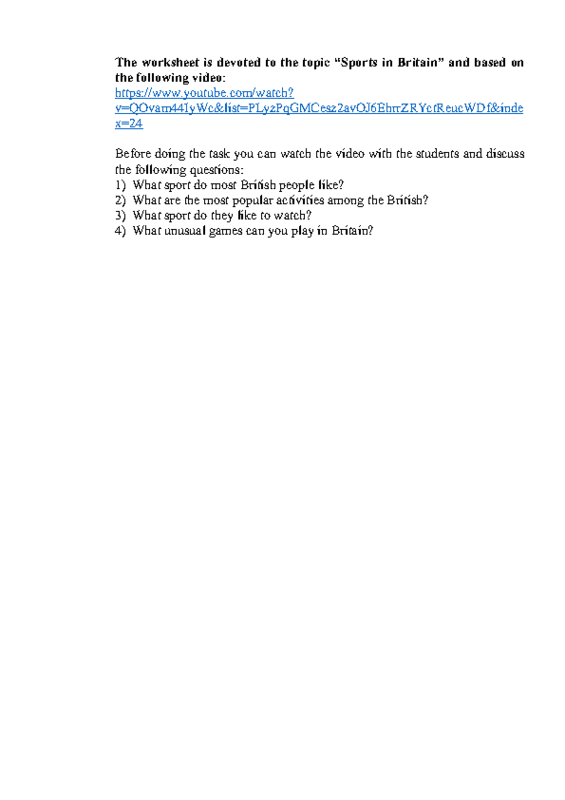 This worksheet is devoted to the topic “Sports in Britain”. The first page includes 4 questions that can be discussed after the first viewing, the second one represents a multiple-choice task which consists of 6 statements and 3 options to choose from. This worksheet is good for vocabulary consolidation and developing listening and comprehension skills.